This battle which was fought in 1706 saw the Duke of Marlborough win for the second time in the war for the succession of Spain. It took place in the Spanish Netherlands the area north of Namur which is presently known as Belgium. 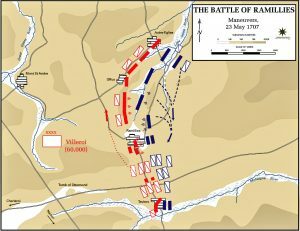 Villeroi of France had gathered a contingent of around 70000 forces which faced off with around the same number of allied forces led by Marlborough. At the end, France lost around 13000 soldiers while the allied forces lost around 3500. France was left with little chances of succeeding here thereby being put permanently on the defense and Spanish Netherlands went to the control of the rivals. 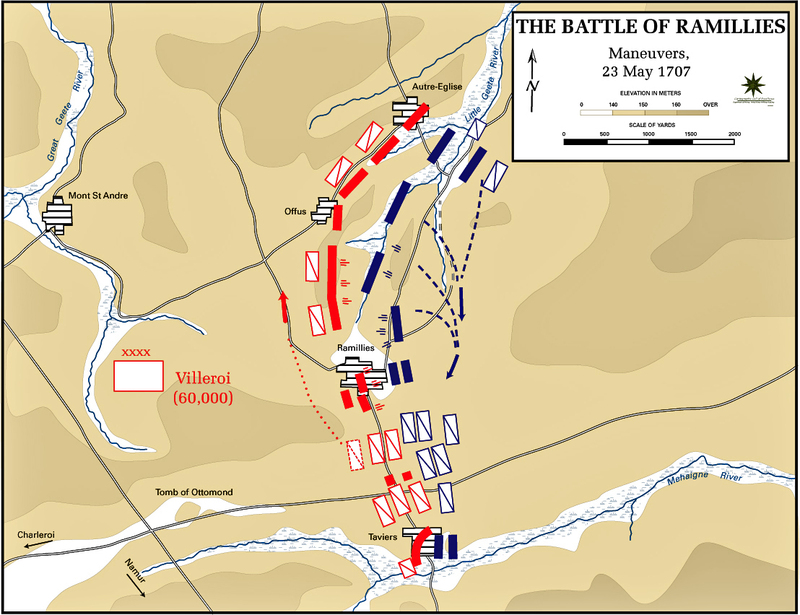 In this battle, France allies were Mantua, Cologne, Spain, and Bavaria. The rivaling alliance comprised of England, Holland, Austria, Denmark, Brandenburg-Prussia, the majority of German states, Portugal and Savoy.